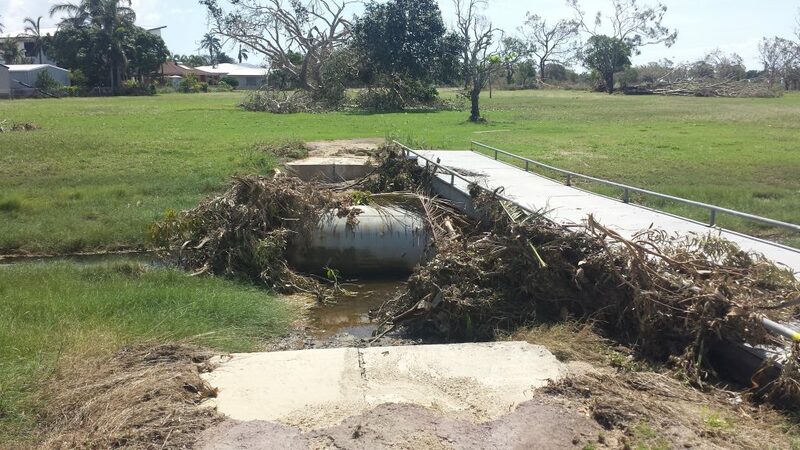 CYCLONE Debbie’s destruction was never more evident than at Bowen Golf Club where wind speeds reached more than 250km/h tearing off the clubhouse awning and downpipes, bringing down huge trees, shifting concrete bridges and destroying sections of the golf course. The ocean side golf course was devastated and forced to close for at least a month after Debbie screamed her way over the course and clubhouse. “We were hammered and the golf course looks very different now,” club manager Corinne Dibnah said. “We had a lot of trees down including some over 100 years old and bridges washed out. “You would have thought that concrete bridges would never move, but they were just pushed aside. With only one greenkeeper on staff, it was all hands on deck as members volunteered to put the jigsaw puzzle back together. “We had working bees for three weekends just to get the fairways cleared,” Dibnah added. 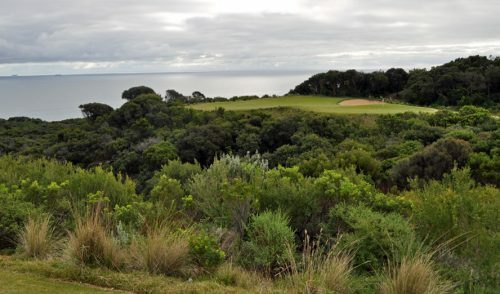 “The golf course is on the ocean and we have million dollar views, but not after a cyclone visits. Yes, from Bowen in north Queensland and south to the Northern Rivers it was a similar story. For weeks, golf club car parks, clubhouses and pro shops were deserted and that meant cash registers fell silent across the great divide. The devastation left many superintendents shaking their heads wondering where to start the clean up. Still, with an army of volunteers by their side they got on with the job and many soon had their courses playable again. The cost of the cleanup was expected to run into the millions of dollars. After departing Bowen, Debbie took aim at Proserpine Golf Club where operations manager Lisa Cavanagh and director of golf Alison Munt were stationed. Mind you, they got off lightly despite many completely submerged holes. 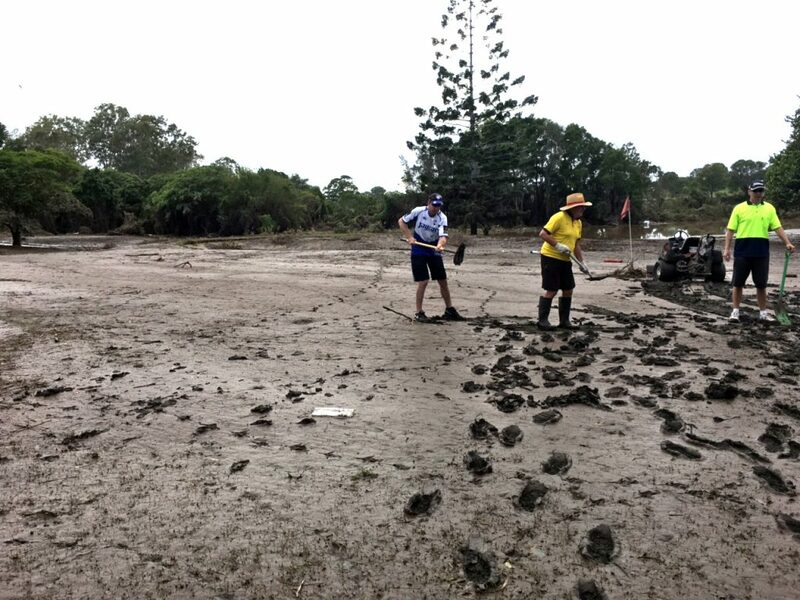 “The fairways on the back nine were not visible just after the rain hit, but it didn’t take long for the water to subside,” Ms Cavanagh said. “The course drains really well because we have a creek running through it. “Overall, we came out of it okay. Ms Munt said the course closed for six days. Mackay Golf Club professional Jeffrey Reid told Inside Golf the course closed for two weeks. “Prior to Cyclone Debbie, we had a significant rain event which washed us out and then Debbie came through followed by another significant rain event,” he said. Reid said the army of volunteers put in more than 1200 hours helping clean up the mess. Many courses in Central Queensland were affected, some worse than others. 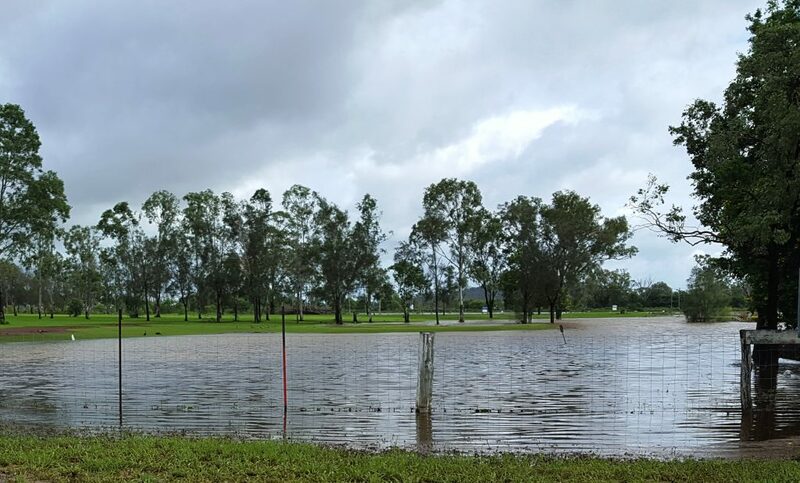 One of the hardest hit was Gracemere Lakes Golf Club, which was virtually underwater due to its overflowing lakes. Yeppoon golf course closed for two days, but reopened within days for its Saturday competition. Emu Park Golf Club closed and has had to re-schedule its April men’s and women’s open championship to a date yet to be fixed. North Rockhampton, formerly Capricorn Country Club, closed and remained closed until the Fitzroy River floodwaters dropped. The river peaked at 8.8 metres on Thursday, April 6 – a week after the heavy rain arrived. 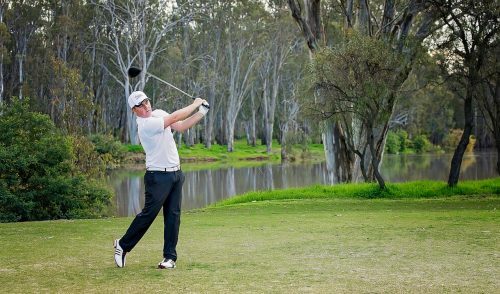 Rockhampton Golf Club copped it from two different directions, according to the club’s manager Karen Leonard. Prior to the big wet arriving, the club removed all its pumps for fear they would be washed away. 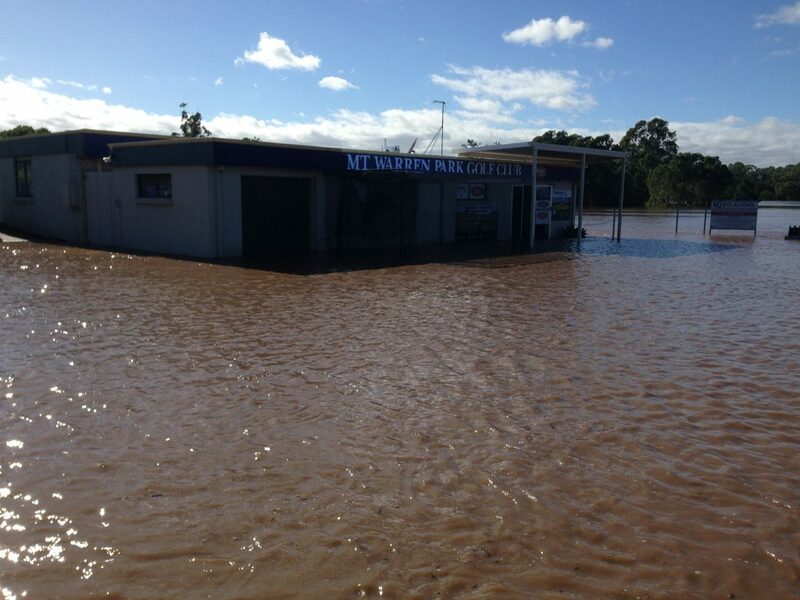 Meanwhile, Maryborough Golf Club had a different story to tell. Long-serving club pro Kevin Law said drought conditions affected the course for the first three months of the year. “We virtually ran out of water,” he said. “Then we received rain on March 13 and the dams filled up. The flash flood delivered by Cyclone Debbie put three holes under water for an hour. “We had 95mm in an hour and a lot of work went into getting the course open for Saturday golf,” Law said. Bundaberg Golf Club professional Craig Swift said the course was back in play within a week of the big wet arriving. “We received around 300mls of rain whereas everywhere else received about 500mls,” he said. 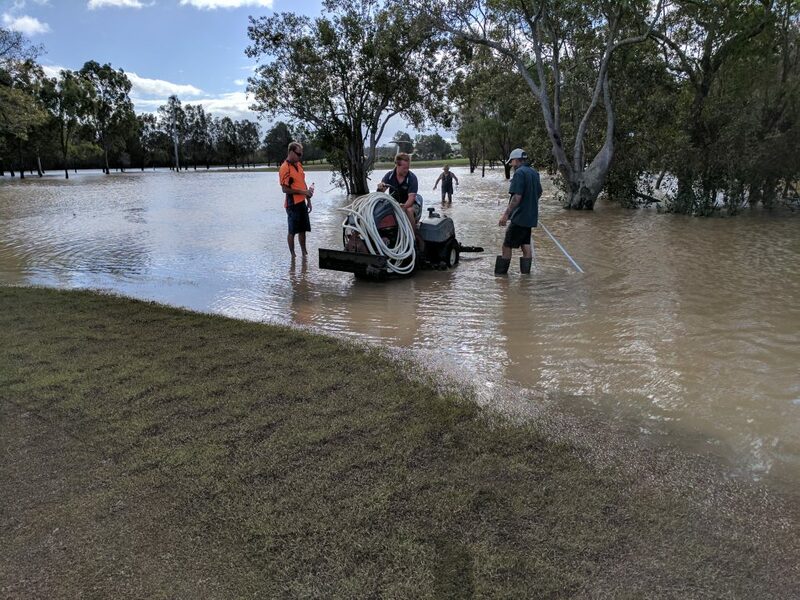 Up at Toowoomba’s City Golf Club, heavy rain forced the closure of the course for two days mainly because the club couldn’t get golf carts on the course. “We didn’t have any major damage because there wasn’t strong wind,” said golf operations manager Andrew Webb. Most Brisbane clubs coped well. 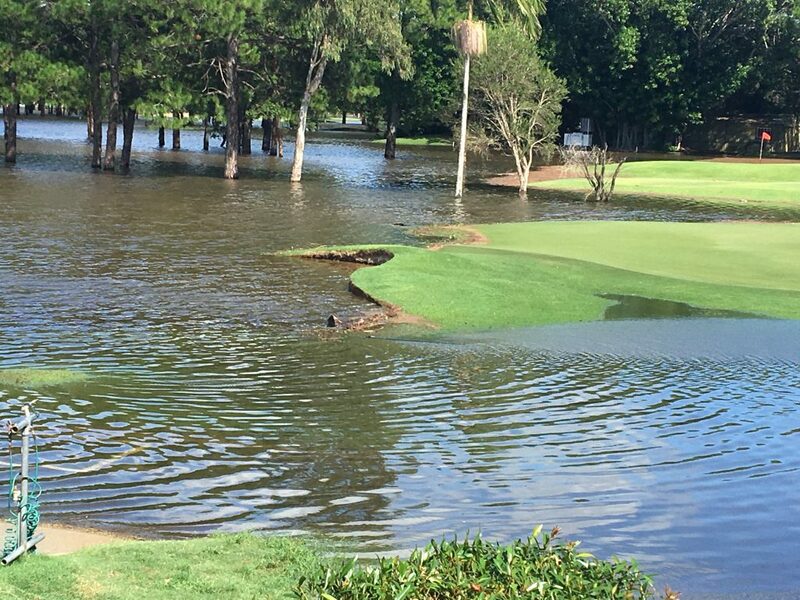 Nudgee Golf Club, which is close to Brisbane Airport, fared well considering the amount of water dumped on its 36 holes. “We closed on Thursday and Friday and opened the North Course on Saturday, April 1,” said assistant GM Rick Anderson. The club lost power on the Friday morning and the South Course reopened less than a week later. Pacific Golf Club had a significant amount of water across its golf course, according to the club’s golf office assistant Sam Romeo. “After two days, we were back in action,” he said. 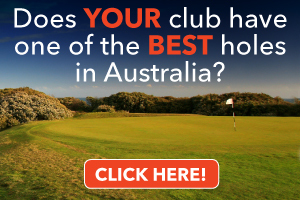 Of the southeast Queensland clubs, Carbrook Golf Club was one of the hardest hit. The 2016 GMAQ Club of the Year suffered its worst flood in its 40-year history with the Logan River, which skirts the course, reaching an all-time high. Whenever there is a significant rain event Carbrook cops it. In a big wet some years ago, a number of sharks washed in and ended up residing in the course’s large dam. This time it was far worse with pontoons, a boat and a large industrial bin washing in. The entire golf course was underwater except for seven of its 19 greens. “Within four hours of the river breaking its banks on March 31, the course was evacuated as the water level reached one metre on the driveway. It took more than two days before the staff could gain entry and assess the damage. What confronted them was muddy silt and it was a case of “where do we start”. “So we embarked on a long journey to clean up the course with the focus first on greens, then tees and fairways and then the rough,” general manager Scott Wagstaff said. The members played their part working side-by-side with the greens staff during the cleanup. “It is not when the course is in great condition that we understand what club spirit is,” Wagstaff said. Of course, the biggest cost is the loss of income. “The lack of golfing traffic will affect all revenue streams with very little expected in the next month,” Wagstaff said. 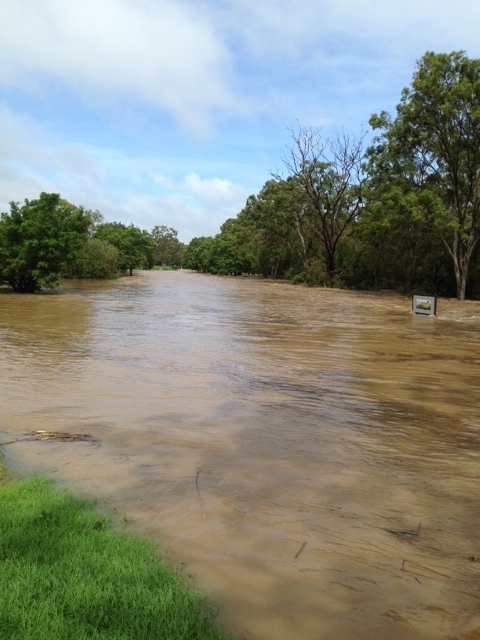 At least half of Riverlakes Golf Course went under at the height of the big wet. Aside from removing truckloads of mud, the greens staff and volunteers had to remove plenty of dead, smelly fish that washed in. Within a week, eight holes were open, but the club decided to suspend competition play until after Easter. “It wasn’t good, but it’s been good for the morale of the club that members came down to help us,” pro shop assistant Nathan Schleemann said. Logan City Golf Club had 25 of its 27 greens under water. Initially, it was too dangerous to allow volunteers to help in the cleanup and it was left to the greens staff, club owners and family members. “It was too slippery and dangerous and we didn’t want volunteers falling over and getting hurt,” pro Richard Rhodes said. “At first, staff couldn’t get machinery to some greens because of was too muddy. The club opened 18 holes prior to the Easter break. At Mt Warren Park Golf Club it was all hands on deck. “By the end of day two we had cleaned out the machinery sheds, rebuilt a cart shed, repaired two other cart sheds, removed the silt from all greens and even got the pro-shop back into order,” said club president Jim Lavery. The women too chipped in with a BBQ lunch. On the Sunshine Coast’s Nambour Golf Club had a number of large trees down include one that fell across the fourth green. “I have never seen the wind so strong,” club manager Steve McMahon said. On Bribie Island, gale force winds brought with it 125mm (5in) of rain to Pacific Harbour Golf and Country Club. “We did suffer some damage from the winds with two trees blowing over, however, overall we managed very well,” said director of golf operations Marcus Hartup. Out at Hills International golf course the recovery process was swift with nine holes open for play within a week. “We were one of the worst affected,” professional Tom Berndt said. 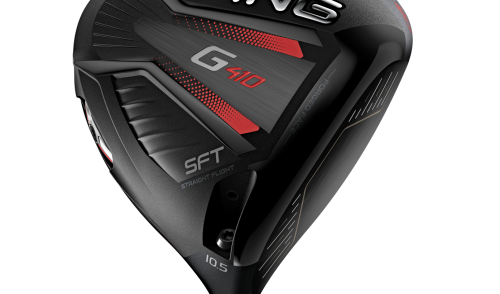 “The floodwaters reached unprecedented levels with the front nine completely under water. “Some estimates are saying it has come up 35 metres higher than normal,” he said. 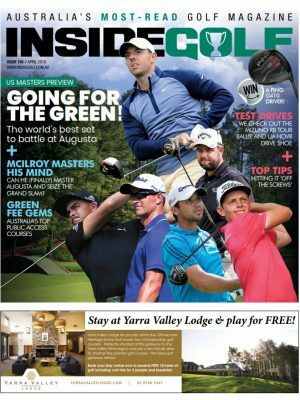 The professional at Windaroo Golf Club, Jared Love, spoke to Inside Golf from atop a bobcat on the 10th fairway. He said he had a metre of mud around him and it was from tee to green. “We had 12 holes go under water with eight of those in a bad way,” Love said. Still, within a week the members were able to play competitions on a seven-hole composite course. On the Gold Coast, the Glades Golf Club’s cleanup bill is expected to reach six figures, according to the club’s general manager Phillip Baker. “This was the worst flood in the history of the club with up to four inches of silt and mud on some fairways and through the rough,” he said. “All our greens went under water and all of our 97 bunkers were also washed out. “The damage bill will be around $100,000 – not to mention the loss of revenue. 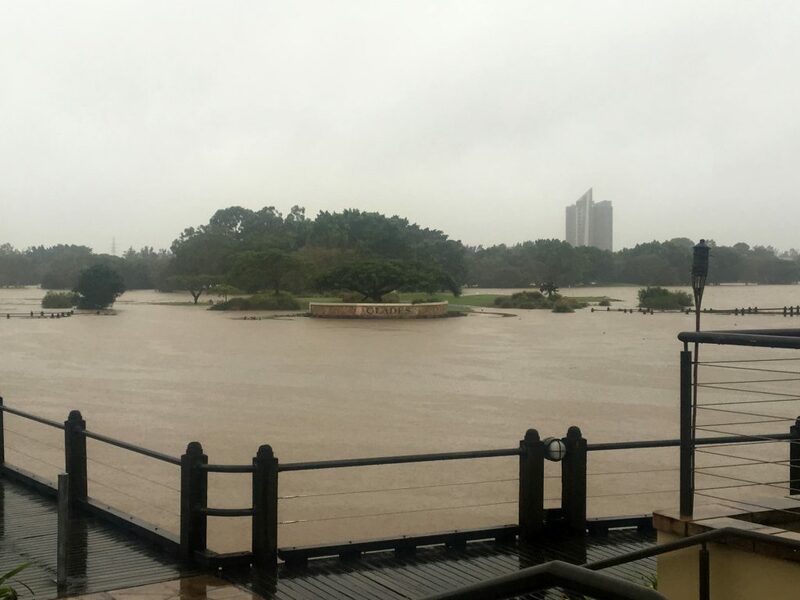 Most of Surfers Paradise golf course went under and the buggy sheds in low-lying areas submerged. General manager Mick Ryan said the pro shop’s lower level too was under water. “The damage to property and infrastructure is extensive,” he said. “It took a lot of our members to volunteer to help the ground staff in clearing the course. 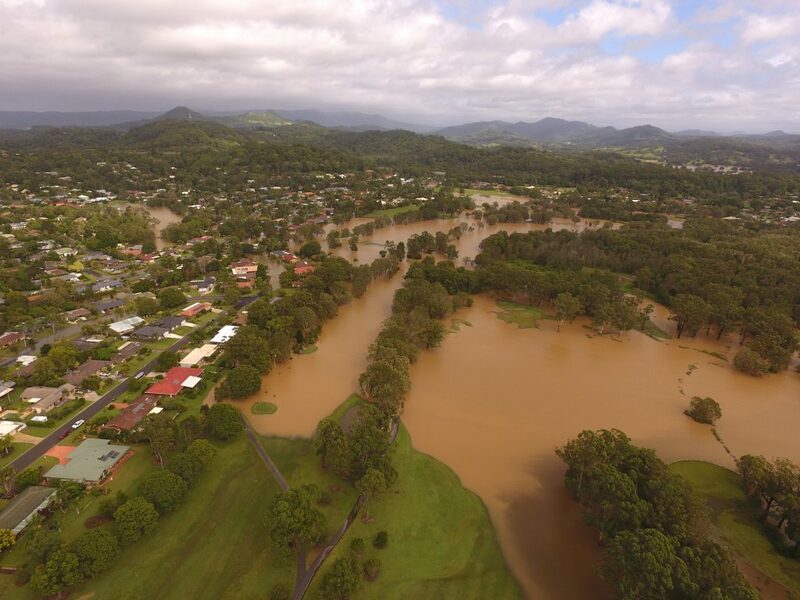 In the Northern Rivers, floodwaters devastated most courses. 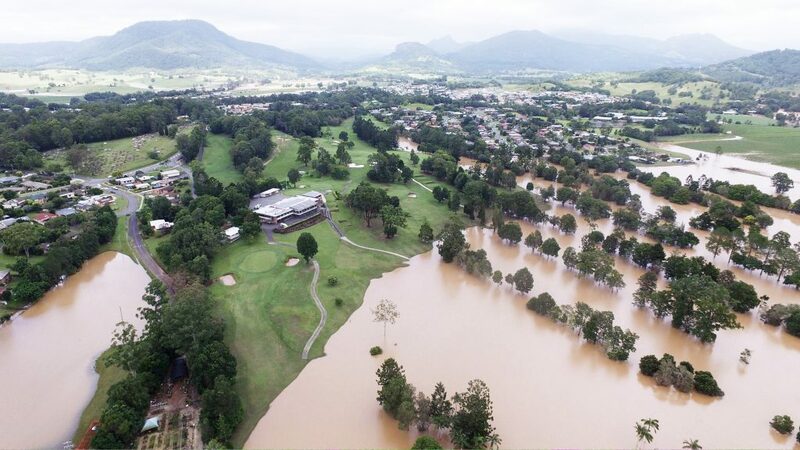 Murwillumbah Golf Club was one of the worst hit and didn’t expect to fully open for a month. The club’s army of volunteers worked tirelessly alongside superintendant Brian Cox and his crew to speed up the cleanup. Unfortunately, the water receded slowly and more than a week after the rain event the course remained closed. Nine holes re-opened in mid-April with the rest of the course expected to be in play by April 30. The clubhouse and restaurant remain open and operating as usual. Ocean Shores Golf Club resembled a large lake with just the ninth and 18th greens above water. 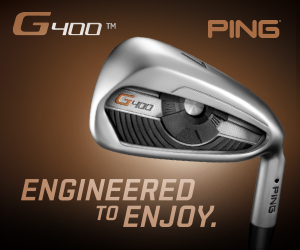 “The water went to unprecedented levels,” club pro Chris Graham said. All the tee markers washed away. Still, the club extended a hand of friendship to nearby neighbour Murwillumbah Golf Club. “Murwillumbah is going to be shut for weeks and we have extended full reciprocal membership rights so their members have somewhere to play until they find their feet,” Graham said. 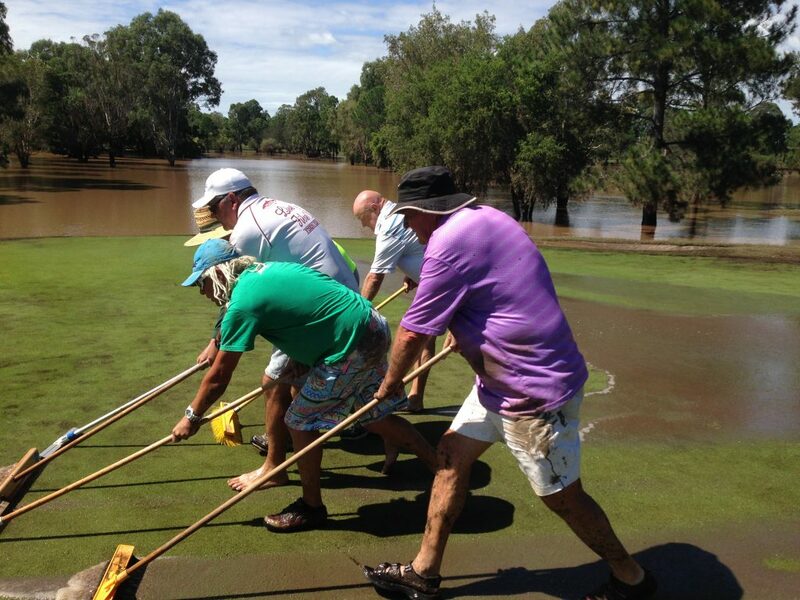 Meanwhile, Mullumbimby Golf Club went under when the Brunswick River broke its banks. The halfway house and women’s locker room flooded, but the pro shop was unaffected. With the torrent of water running across the road and entrance, the main damage was to roads and the car park. The course remained closed more than a week. Of course, many more clubs and courses suffered considerable damage across both states but by the time you read this, most clubs will be back in business and urging members to return to the fairways. This is the time when your club needs your support most so dust off the clubs and get out there. 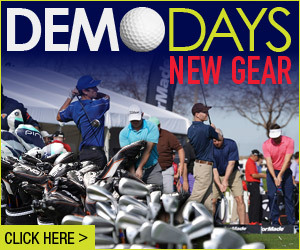 Oh, and don’t forget to spent a few dollars in the clubhouse and pro shop.